Brandon Freid is COO of the Impulsive Group and Co-owner of The Sanctuary Hotel. A native New Yorker and graduate of the University of Miami, Brandon Freid began his career in business and real estate managing operations and assets for the Ameritania Hotel. 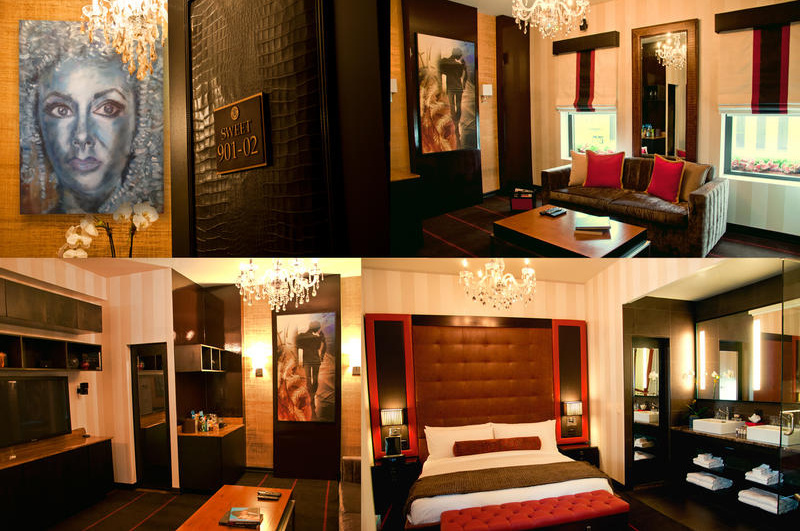 Upon joining the Impulsive Group in 2003, Brandon quickly took on a leadership role, overseeing the operations and management of the complete Impulsive Group portfolio, which includes the sophisticated, four-star Ameritania Hotel located in the Broadway theater district and his newest acquisition, The Sanctuary Hotel situated in the heart of Times Square. Brandon’s mastery of business and finance is coupled with a solid grasp of architecture and design, and he plays an instrumental role in the interior design and renovation work of all Impulsive Group properties. For more information on Brandon Freid and the Impulsive Group, please visit www.impulsivegroup.com. My father, Hank Freid, has always owned and managed hotels. I was always eager to work in them even as a young kid. I would make sure I went to the hotels with my father and work in every dept from front desk, reservations, sales, and management. My most successful decision was pursuing and then purchasing The Sanctuary Hotel with my father. Also, always being so hands on has made me fully understand how every department must function properly to be completely successful. My biggest mistakes were just not purchasing a couple of projects that I was on the fence about. My hotel is so culture based from the core of essential managers, all the way down through every employee including but not limited to the bellman, concierge and front desk agents. I meet and interview every single employee before they are hired, no matter the position. And if I don't meet someone by some chance my father has interviewed them. Every person across the board has to be extremely personable and wanting to succeed in touching every guest that stays at The Sanctuary Hotel. We strive to really make an impact on every guest from the moment we open our doors to them. It's all about Service, Service, Service because our location in the heart of Times Square speaks for itself. What is your mantra/life quote? Going to dinner with family and friends. I love to eat out at restaurants. What's next for your hotel? I'm very excited that we are about to open two new food and beverage operations. Tender restaurant opening early May, will serve up a new American / Asian influenced menu including sushi and Foxhole, which is a speakeasy underground at the hotel that will open in the early fall.